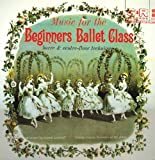 I saved SO much money purchasing this CD for our ballet class from the Kimbo store on Amazon! I was thrilled to find it available here! The only thing I was disappointed with was the fact that there was no cover to the CD. I assumed the cover would look like the picture listed but it came in a clear plastic case with the songs listed on the back. Not sure if that was the difference between saving a few dollars and purchasing it here over directly from Kimbo’s site but either way it was worth it!